I’ve made many more than three mistakes in my walk as a writer. 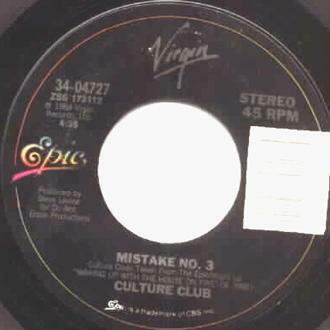 Mistake number three probably came around the same time Culture Club released “Mistake No. 3” off of their Waking Up with the House on Fire album in ’84. So many of them have come because I’ve either been impatient in making a decision or too tentative to make one at all. Just with Boy @ The Window alone, I’ve probably made at least thirty-three mistakes. I should’ve started working on the book right after my conversation with my late teacher Harold Meltzer about my experiences, in February ’95. Even without Google, Facebook, MySpace, and so many other places to look, it would’ve been much easier to track down my ex-classmates and teachers. 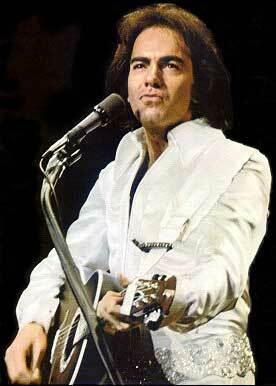 Instead, I single-mindedly pursued my doctorate and my doctoral thesis as if it were gold-pressed platinum. All the while asking myself if I was a historian first and a writer second, or a writer that just happened to be an academic historian? When I finally did begin working on the manuscript, in the summer of ’02, I think that I was writing about four different books. It had an academic side to it, a look at magnet school programs and their inherent arrogance around diversity and race, not to mention intelligence, especially in the 80s. I was also writing narrative nonfiction, ala Eric Schlosser and Adrian Nicole LeBlanc, as well as fitting in bits and piece of memoir. And Meltzer, during my second and what would turn out to be final interview with him, suggested that I might want to turn the project into a novel. Why fiction? Because, in so many words, I wouldn’t piss anyone among the living with a Mount Vernon connection off. memoir at this point. It wasn’t a disaster, as I managed to get about thirty percent of the agents I contacted interested enough to look at my unpolished manuscript. Before their standard rejections would come back. Licking my wounds and being more patient, to continue to revise and re-polish and repeat for most of ’09 and this year was hardly a bad thing. Realizing that my wife never liked the idea of me working on Boy @ The Window was harder, much, much harder than any agent’s multiple-xeroxed form rejection letter. I’d been in denial about it for about three years. It was when I sat down at the end of ’09 to do a long-overdue overhaul of the memoir that she finally made it obvious to me that I’d violated some unwritten rule in our marriage about delving too deeply in my past. It was about a year ago that I realized that — at least on the subject of Boy @ The Window — I’d lost my significant other of fifteen years, who simply wanted and wants me to move on. There’s no doubt, though, that the biggest mistake I’ve ever made as a writer was to choose to not see myself as a writer for the better part of two decades. That’s probably the reason why it’s taken me years to work on Boy @ The Window, why I’m still a forty-one-year-old late bloomer in this calling of mine. That I’ve made as many mistakes as I have and still remain hopeful about publishing this memoir is, well, both crazy and just the thing I need to get through, I suppose. My former AP English teacher Rosemary Martino was right about one thing. Writing really does take sacrifice.